Home » How to copy a database using cpanel? You can use Phpmyadmin in cpanel to copy a database easily. Login to your hosting control panel (cPanel) and click PhpMyadmin in the databases section. 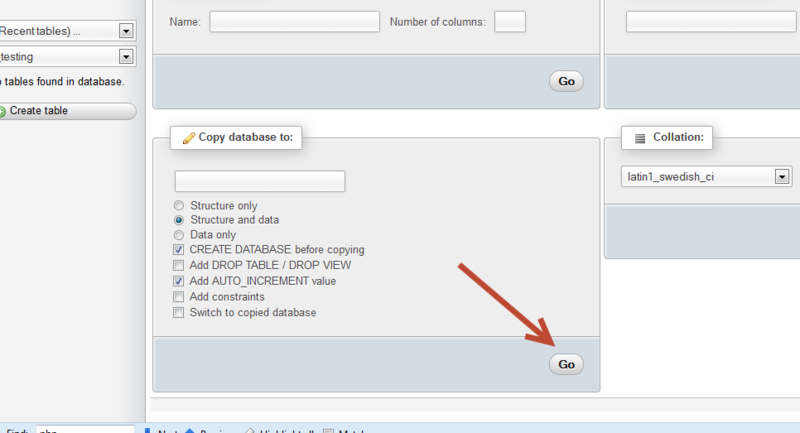 Select the database that you wish to copy from the main menu.I have selected example_testing database from the main menu. After selecting the desired database click on the operations tab from the next page . 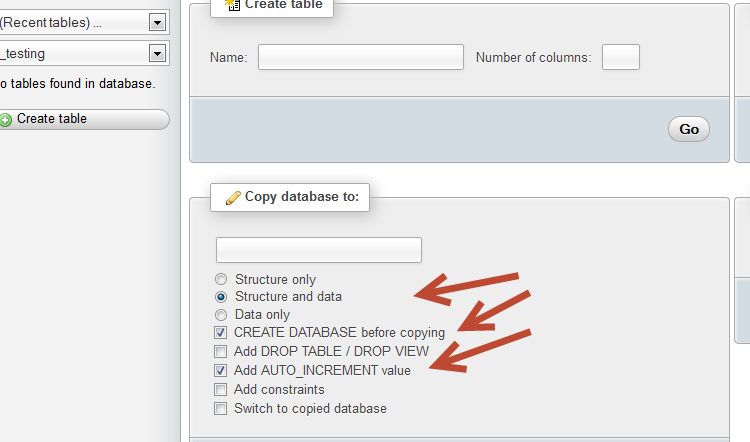 Provide the name of the new database in the “copy database to” tab. While choosing the database name ensure that the following options are checked. Click “Go” after providing the database name . Your database will be copied to the new database name.